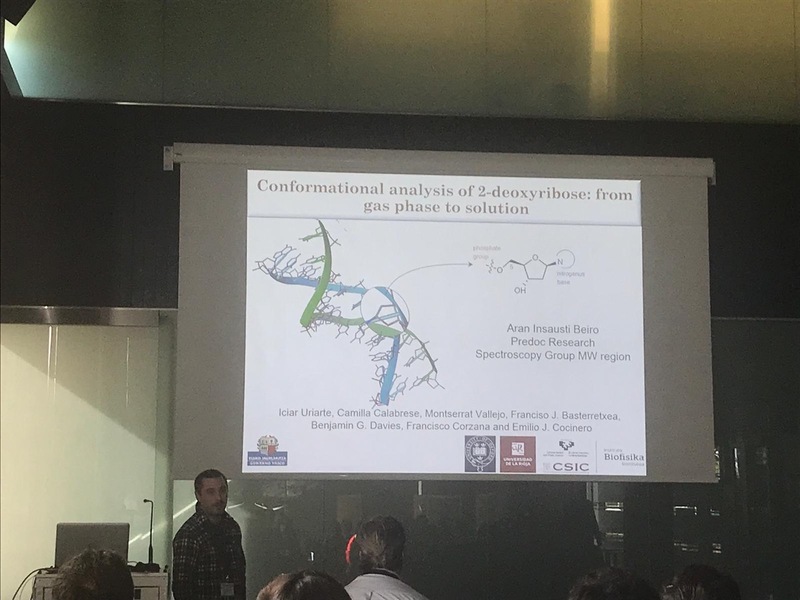 Emilio J. Cocinero and Aran Insausti gave very interesting talks at CIC bioGUNE because of the 2nd Glycobasque Meeting. 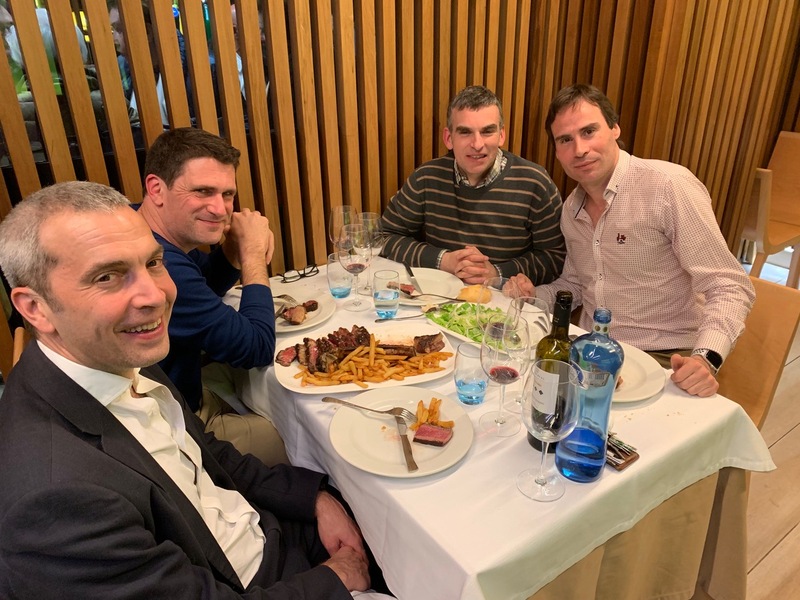 CIC bioGUNE celebrated the second Glycobasque meeting on March 22nd with a successful participation. Dr. Elena has joined our group as postdoc and she will stay with us during the next year. Aran Insausti got the Basque Government Fellowship. Congratulations Aran! Maider Parra got the Ikasiker Grant given by the Basque Government. Congratulations Maider! 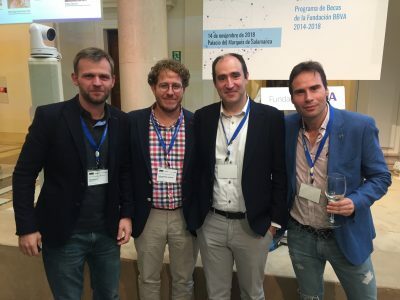 Emilio J. Cocinero attend the meeting about the creation of “Red Leonardo”, initiative driven by the BBVA foundation. 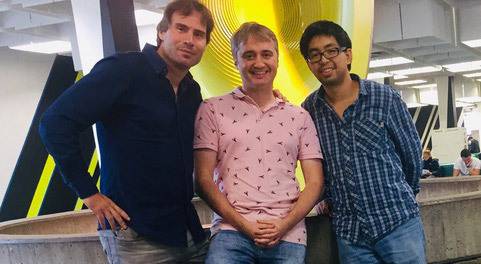 In the picture bellow, Dr. Marek Grzelczak, Dr. Guillermo Mínguez Espallargas, Martín Fañanás Mastral, Emilio J. Cocinero (from left to right). 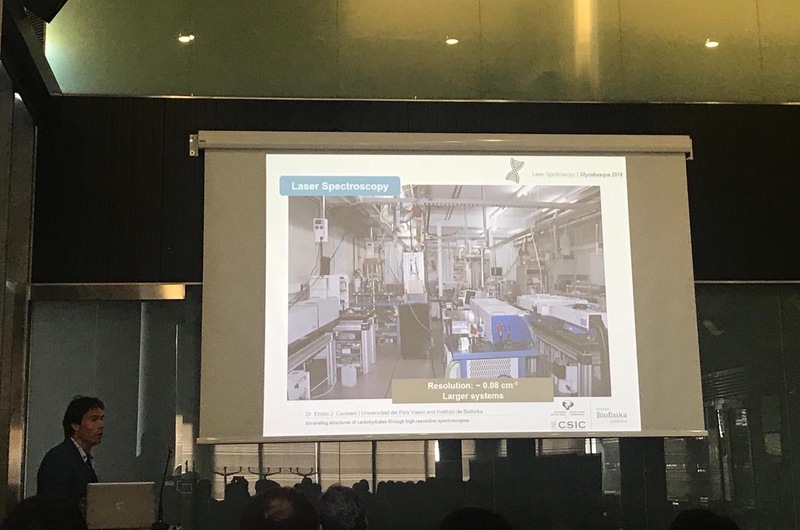 Camilla Calabrese gave a talk at the “Biofisika” Institue Open Day. She spoke about what we do at our laboratory, what kind of research lines we carry out and the instrumental facilities we have at hand. In the photo, the poster used at the conference. 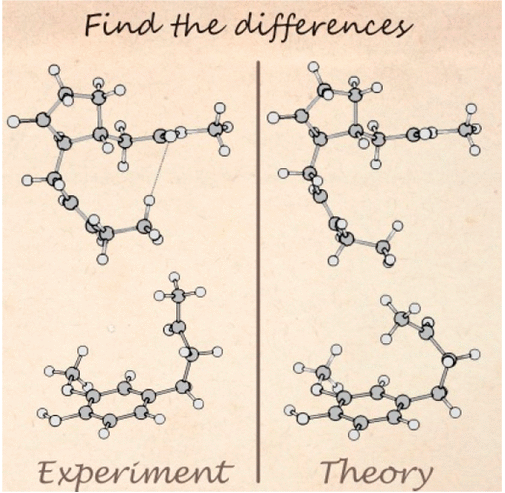 Modern structural studies of biologically relevant molecules require an exhaustive interplay between experiment and theory. In this work, we present two examples where a poor choice of the theoretical method led to a misinterpretation of experimental results. 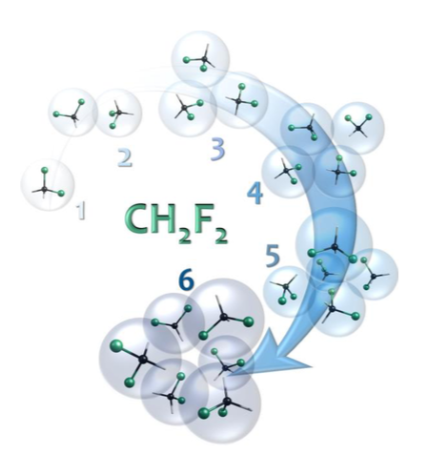 We do that by performing a rotational spectroscopy study on two large and flexible biomolecules: methyl jasmonate and zingerone. The results show the enormous potential of rotational spectroscopy as a benchmark to evaluate the performance of theoretical methods. Aran Insausti presented the experimental and theoretical study of the Tn antigens in the gas, solution and solid phases that has been applied to deduce the key role of water in the modulation of the conformational preferences of these molecules and therefore in their presentations for interacting with protein receptors. 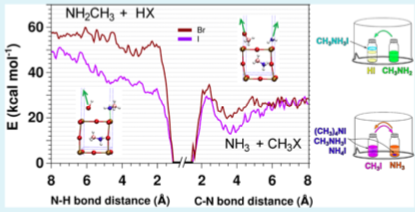 In the photo, IRID spectra of Tn-Thr* and Tn-Ser* Antigens (a) and conformation in solution of Tn-Thr and Tn-Ser (b). 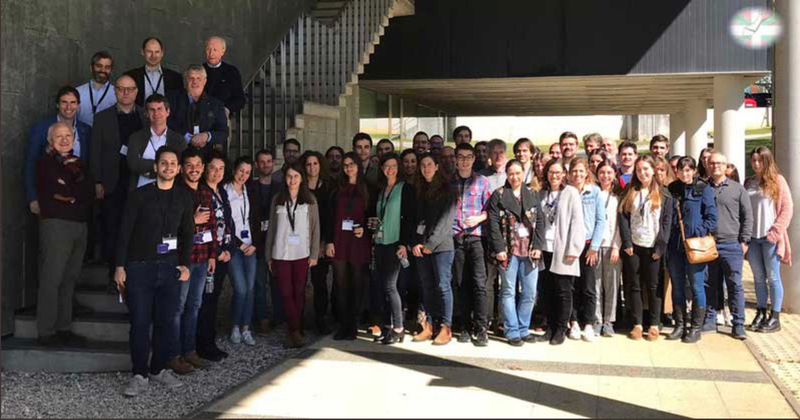 The 2018 Edition of the Prague Series of International Conferences on High-Resolution Molecular Spectroscopy was held in Bilbao (Spain) this September 3-7. 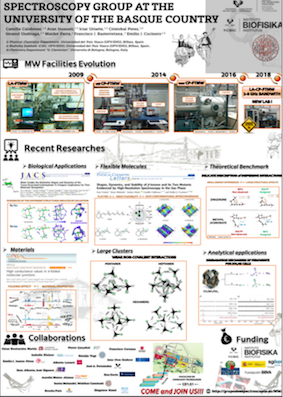 We presented recent results focused on solving various structural problems of Chemistry at the molecular level. 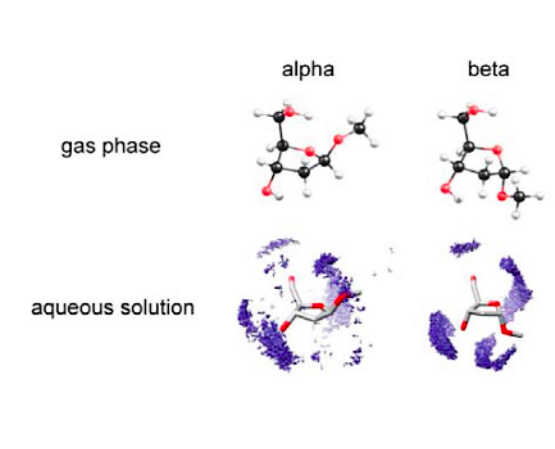 In particular, the conformational landscape of large clusters and biomolecules, including sugars, glycopeptides and drugs have been studied by our group recently. 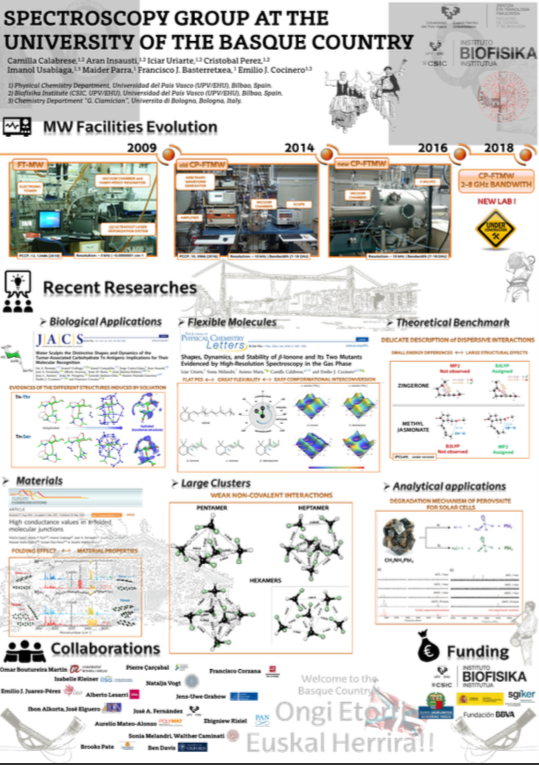 In the photo, the poster designed for the conference showing information about the wide MW facilities in our lab and previously mentioned researches we have been involved in.